doral income tax Archives - Hialeah Accounting Services. Sub S Corporation Vs LLC will differ in what type to open. Business structures are of different kinds such as, for instance, sole ownership, partnerships, corporation, an LLC. LLCs or S Corporations are the most common business that is used today. During these turbulent times, every small business should open in one of these entities. You need to know what the difference in a Sub S Corporation and LLC. Shareholders must decide what type business they should open. How they are the tax is one decision they have to make. One should hire an accountant or business manager to answer any of your questions. Sure enough, the pros and cons of every structure are widely dissimilar. Due consideration to what you should open. The same can be said concerning deciding on the business structure to choose. Sub S Corporation has specific requisites and has been elected for taxation as a pass-through entity. Small businesses owners, who find this structure beneficial, can vote in harmony for being taxed as S Corp.
Why accept S corp. Status and now let us start to compare them. Sub s Corporation and LLC are both and are regarded as separate entities. It clear that owners are not individually liable for business-related lawsuits and debts. LLC and S corp. Serve as pass-through tax entities. S corp and LLC both have to file business tax turns. Business loss or profit goes directly to the owners, and their share gets paid on their tax returns. Ongoing mandated requirements differ from one state to another. Each state that it is incorporated has different fees and fees and filing annual reports. IRS restrictions for ownership for each of the type of companies. LLC can have unlimited members. It is obligatory for S corp. To have US citizens but LLC can include non-US residents as members. S corp. Cannot be owned by C corp. It also can not be owned by another Sub S corporation. No such limitations for an LLC and could weigh in your decision. LLCs can have subsidiaries without constraints. LLC is not obligatory to follow the internal formalities. 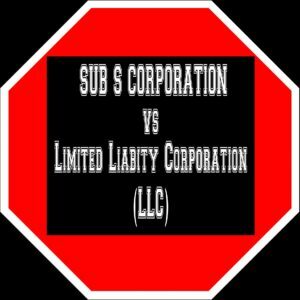 SUB S CORPORATION Vs LLC. Find out how they will affect your business. S corp. Have requisite that must be followed to be legal. LLC has recommended rules that are required. LLC owners can select other members to manage LLC operations. Members-managed LLC seems like a partnership. Manager-managed LLC resembles a corporation and members are not involved in daily business decisions. The S corp. Has directors and officers group to run the company. You only need one person that could handle all of the assigned duties. Directors elect officers to manage the daily business. They handle significant decisions and oversee other corporate affairs. S corp. Share is easily transferable, but LLC ownership needs approval from the other members. S corp. Has been found to pay more tax as compared to an LLC. In Florida, this does not apply since they do not have any corporate state income tax. S Corporation must pay unemployment taxes, and Social security taxes could be a drawback. Corey & Associates Accounting services are the author of this Post. We are a full-service accounting office and located in Hialeah Florida. Since 1985 has assisted Accounting and tax questions for our clients. Just minutes from any part of Miami-Dade and Broward County. Miami Lakes and Doral are just minutes away from the office. It is just off the NW 122 Exit of the 826 expressway. We offer a Free Consultation and advice on your business issues. The phone number is 305-823-9228 and Email albert@1040w2.com. Fax services are available, and the number is 305-390-0941. You do not have to take our word on the quality of services. Check Google and Yelp to see what others have to say. Our motto is that we do not want you as a Client. Clients only come once. We want you as a friend since they will come for a lifetime. That’s is why giving value and friendship is important to us. Our office will be with you all year long and answer any of your questions. You can follow us on social media and get daily updates. Our Facebook has daily updates and tips. Check out our Instagram page and see daily videos. Youtube Channel will give you valuable tips. As a result, you can start to save money and time. Time is something we have a limited amount of life. In conclusion. Please like and share our content and other can get this valuable content. Just Look at the bottom and top of the page to see how you can share this post. Sharing is caring and could help out a friend in need. We have all the major social sites that you can connect. Become our friend on Facebook Messenger and get instant access to me. Just like my page and send me a friend request. In a few minutes, I will be in contact with you. As a result of my cell phone and you have instant contact with me. It could be a valuable resource when you have questions. Your question’s answer could be keys to your success. The difference between you opening your business quickly and having issues. Our goal was for you not to have issues. Sub S Corporation VS LLC I hope will give the information to make a decision. Thanks for reading the blog to the end. Now get value out of it and take action. The action is your key to success. Home Office Tax Deduction. Did you know the deduction that will get you a tax refund from the IRS? Your Home Office is one deduction an overlooked in most tax returns. You see it just like having an office without paying rent. IRS says it ok to pay rent. Taking the office deductions is like paying rent. The government has a few simple rules that you must follow to get the deduction. The first rule is that you can only take the square footage of the office to the size of your home or apartment. Have someone cleaning your home could be a deduction. Your water and Utilities will assist you in lowering your tax bills. IRS Rule says that you can only tax a percent of your home or apartment that use as an office. Step one is to get the square footage of your home or apartment. Next step is to get the square footage of the work area. Now divide that out and you get the percentage. Take that number and multiply out by all of your household expenses. That number is what you can deduct on your tax return. You can not use that space for personal use. Watching TV in that space is one example of this. In the 35 years assisting my clients the average percent for a home tax deductions is 25 percent business use. Your home as an office now become a major tax break on your tax return. It will lead to a nice saving when you file a tax return. 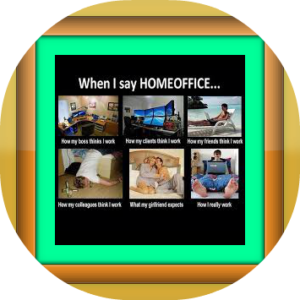 Corey & Associates Accounting firm is the creator of home office tax deduction post. Since 1985 has assisted our clients in achieving the best tax return without an IRS letter. Just minutes away from Miami Lakes, Miami Dade, Doral, Hialeah Gardens and South Broward County. Contact us for a free consultation. Phone 305-823-9228 and email address are albert@1040w2com. Are you looking for an accounting firm you can trust? You just need to look at our Google and Yelp reviews to see what our clients say about us. You see we do not have clients. We have friends and family. Clients only come once but family keeps coming for years. Walk-ins are always welcome in our office. Youtube will give you some inside tips on how you can save money and build your business. Please like and share this page. We give you permission to share this on all social media platforms. This is powerful information that will save taxpayers where it counts in their wallets. There is a social media share at the top of the page so go click away.